Expect to see the team of Patrick Reed and Jordan Spieth often during the Ryder Cup at Le Golf National. They won five of a possible seven points as partners in 2014 and 2016. We’re three weeks away from the Ryder Cup, the biennial competition between the United States and Europe. The U.S. leads the all-time series 26-13 and holds the Cup after winning in convincing fashion at Hazeltine in 2016. We’re counting down the days until the opening tee shot, no doubt. 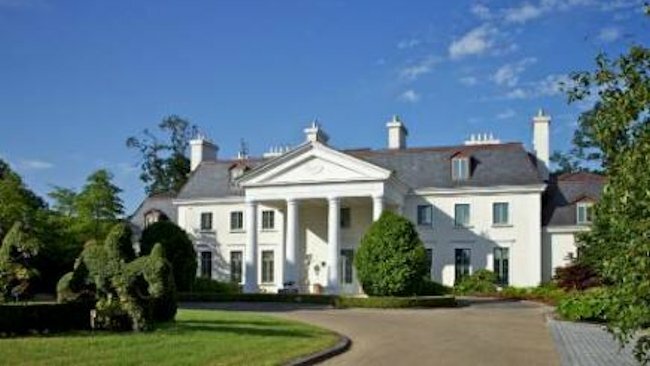 Situated in Straffan, Co. Kildare about 30 minutes from Dublin Airport and Dublin City Centre, the Straffan House is a luxurious private lodging located on the property of The K Club, recent winner of the Best Five Star Hotel Award at the 2013 Hotel & Catering Golf Medal Awards. The Montgomerie Course at the Carton House Golf Club, located in County Kildare about 15 miles from Ireland’s capital city, Dublin, is once again the host this year’s Irish Open, June 27th-30th. It previously hosted the event when Stephen Dodd won in 2005 and Thomas Bjørn won 2006. The Irish Open proudly enjoys one of the largest galleries on the European Tour. For more details about the Irish Open visit the European Tour’s website.